It is time to take over the CPA world with special tools which will help you to optimize and automate part of your work. Maybe you are already working with them or maybe you are only getting acquainted with them, in any case, we recommend to check the list attentively and find some tools which will be just right for you. 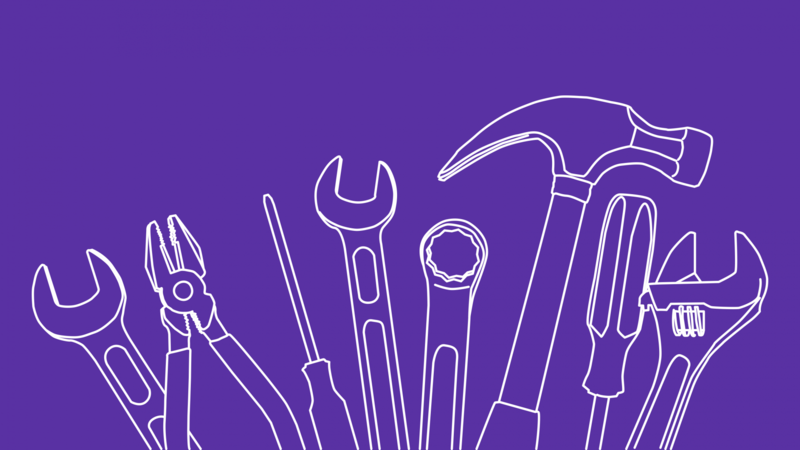 These tools have been created in order to make publishers’ work easier in affiliate networks. They help to generate affiliate links and track statistics faster and more conveniently. Why do we need it? Moneylink automatically turns all links on your website into affiliate ones if websites through these links have programs in the program catalogue and the advertisers are ready to work with MoneyLink. This tool will be useful for content projects (reviews/ recommendation websites, blogs) especially when other users post links on these websites. It means that publisher won’t need to find the links and to change them into affiliate ones as Moneylink will do it automatically. Usage. It is pretty simple: let’s imagine that you register your blog about gadgets in the affiliate network as your ad space and you set up Moneylink on your blog. Then your subscribers and readers start a discussion on which phone is better – iPhone, Samsung or any else, they share many links to the websites of online shops where they bought their beloved smartphones. Other readers see good reviews and use those links to buy a phone for themselves. The shared links to the online shops which participate in the affiliate network as advertisers and allow Moneylink are automatically turned into affiliate links. Thus all purchases made through these links bring you profit as you are the owner of the blog (ad space). How can I install it? 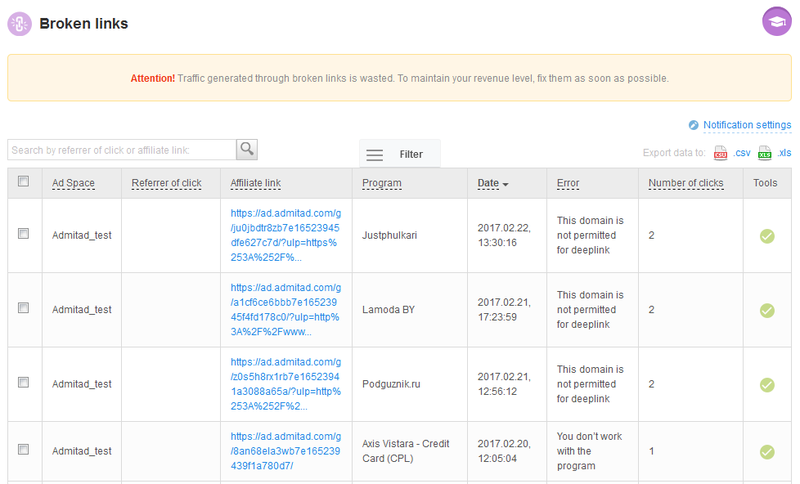 Having logged in as a publisher find the section “Tools” and choose Moneylink there, then press the button “Monetize links”. Please check the detailed instruction in the section help. What is it and why do we need it? In fact, XML feed is a list of described products provided by online shops. It is provided in the form of a code which consists of tags so that you don’t need to unload each product separately but can do it all together. Moreover, the information uploaded on your website is automatically updated as it linked to the resource. Usage. You want to create a site with most popular clothes, accessories and shoes offers but it is too long to create the affiliate link for each product as there are thousands of products which are continually changed. In this case, you can check the offer and use XML feed which includes all goods from the website with their description (brand, image, old and new price, collections, sizes, categories, affiliate links for each product and so on). You only need to upload all these feeds to your website. The customers who will come to advertiser’s website through your site will do it via automatically generated affiliate link. How can I install it? Having logged in as a publisher find the section “Product feeds” and choose “Original” or “Export Templates”. The first option you need to adjust all criteria of export, the second option will provide you with the opportunity to export in accordance with previously set and saved criteria. You can also generate product feed at the program review. Please find more information in the section “How to export product feed?”. Why do we need it? 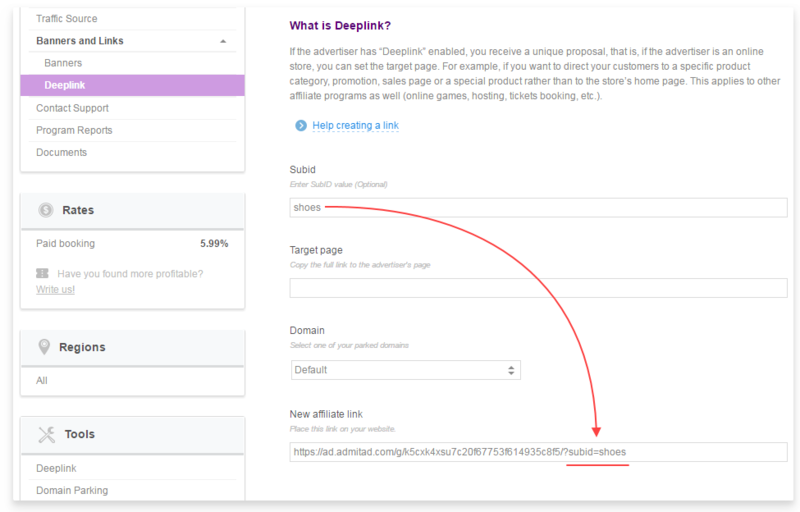 Deeplink provides an opportunity to generate the link to the certain page of advertiser’s website. Not all advertisers provide this tool so you should check it at the program review in the section “Banners and links” before you start your work. It is extremely useful as it allows to offer certain products or services of the advertiser. Moreover, if customers buy more goods after clicking on your deeplink, the reward will be paid for them as well. Usage. Let’s say you want to promote some certain type of smartphones on your blog. Only one advertiser which participates in the affiliate network has this type of smartphones in their online shop. Of course, you don’t want to confuse your readers by giving them the link to the main page of the website not directly to that type of smartphones. That is why you need Deeplink, you will generate the link directly to the necessary phone and your readers won’t waste their time on searching it on the website. How can I get it? There are five ways of generating the Deeplink, please check them in the article “What is Deeplink”. Why do we need it? SubID is very useful to those who track and evaluate the promotion campaigns very carefully. It works pretty similarly to UTM codes. It is used in internal statistics of the affiliate network: having set the codes, it will be much easier to differ and analyze advertising campaigns, range statistics based on each of them and track the effectiveness. Usage. Let’s take a smartphone review as an example. You make a review for black and white models of the same phone. You share the links for both versions adding to the first link SubID1=”black”, and to the second — SubID2=”white”. After some time you will be able to see in your statistics which colour is more popular among your subscribers. How can I get it? You can add SubID while generating Deeplink, through special Chrome extension or manually. Please check the details in the section “What is SubID?”. The example how you can add the SubID and how the link will look with it. Why do we need it? The answer is simple, this tool checks if the links are active or if there are any errors and they don’t work. It will also show if the offer has been disabled or if the link should be changed/updated/deleted. The Link Checker will also indicate if the product by your link is not a part of the affiliate work – it means that if a customer buys it, you won’t get the reward. Usage. For example, you created a Deeplink to some certain product of iHerb offer and as a responsible publisher you decided to try it through “Link Checker”. The result showed that the link works but the product is not from the affiliate program. It means that you need to choose another product, otherwise you will attract sales but won’t get the reward for them. Where can I find it? You can find the Link Checker through this link. P.S. it will also check shortened links. Why do we need it? “Broken links” shows if an active link on your account doesn’t “belong” to the affiliate program and the traffic which comes through it won’t bring rewards even if users buy something through it. Such situation happens when the advertiser declined your ad space and cut off from the offer; if the offer was closed; if your ad space was banned from the affiliate network; or the advertising material (banner/coupon/deals) or the domain isn’t permitted for Deeplink. Usage. For example, you attract traffic through a coupon website and you notice that there is no profit from some coupons although many users click on them. You check the links of these coupons in “Broken links” and see that those coupons are not valid anymore. You should remove them and exchange them for new ones so that your traffic will bring you profit. Where can I find it? Having logged in as a publisher, find the section “Tools” and choose “Broken links” there. If all your links are active, you will see the notification “Now all your links work correctly”. Otherwise, you will see the list of broken links with the problem (error) indication. You will also see the amount of “missed” clicks. Read more in the helping article “What are Broken links?”. Moreover, the tool notifies you by itself when some of your links are broken. How the broken links look in the system. Why do we need it? Admitad Extension works with Chrome browser and gives an opportunity to get the program link, to create automatically Deeplinks, to join the affiliate programs right on the website of the advertiser, to check if certain products of an advertiser are affiliate and many more options. Usage. You were surfing the advertiser’s website whose offer you had joined and found some cool product which your blog reader would definitely like and buy. Instead of spending time on opening the system and generating some link for this product, you can just open the extension and you will get the affiliate link automatically. Right after getting the link you can use it and attract traffic through it. How can I install the extension? You can download it on the Admitad Extension page, install it and log in as a publisher on the Admitad website. After that you need to join the affiliate program and visit that advertiser’s website, as soon as you are on the website you need to open the extension and you’ll see all opportunities which this offer can provide. Why do we need it? If you own a website where you can place a banner but you are not sure which banner to place, the tool “Ad server” will do it for you. The tool chooses by itself which banner from the programs which you have joined will be converted the most successfully. So, as a result, you don’t need to choose banners manually. Usage. Let’s say you still have that blog about gadgets with a spare place for a banner. You can choose the category “Household Appliances & Electronics” and check the offers which you have joined in this categories. For example, you choose two offers of cool gadgets. Every time when users visit your website they see the banner which proves the best efficiency in the affiliate network. How can I find and install it? Having logged in as a publisher choose the section “Tools” and find there “Ad server”. 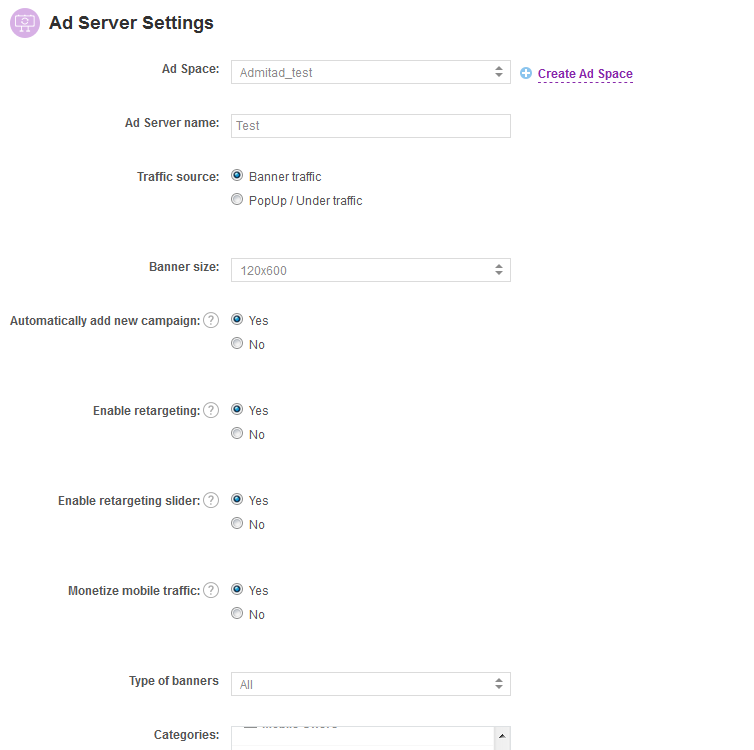 Read more in the helping article “What is Ad server?”. Why do we need it? This tool aggregates all special deals of advertisers with the opportunity to range them based on type (deals, free delivery and so on), region and action. Usage. For example, you want to find “A gift to an order” coupons for United States region. Having logged in as a publisher you should find the section “Tools” and choose “Coupons & Deals” there. 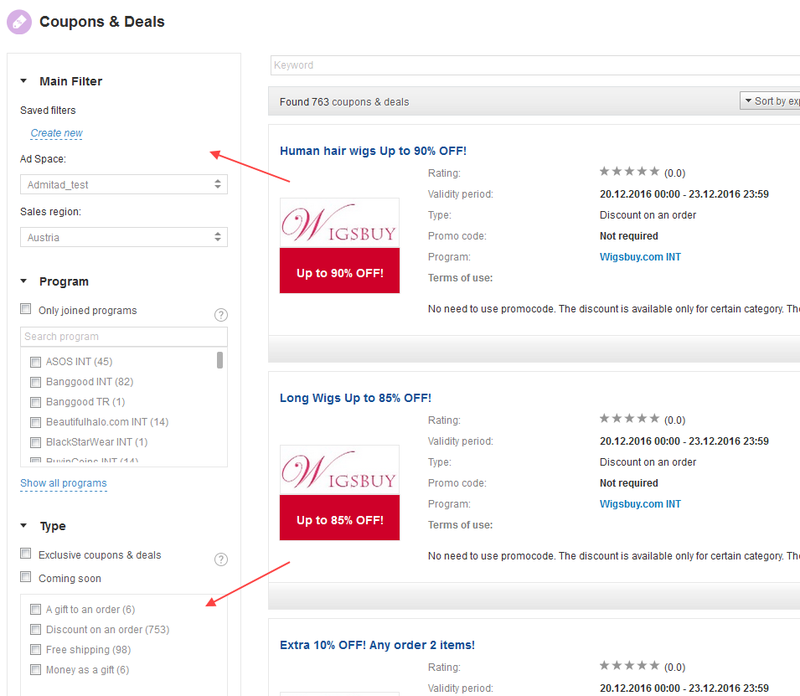 You should set the range in the section “Coupons & deals” according to what deals you want and for which region. After that you will see the list of coupons for both kinds of programs: which you have joined and which you need to join to use the coupons. Read more in the helping article “How to use Coupons & Deals?“. Very nicely described all the tools. Hope all the tools are not necessary for all. But who knows when to use what. As a result it gives valuable information for all the readers. I knew about most of these tools but I came here for AD server. This information really helps in building a good affiliate business. Thanks.